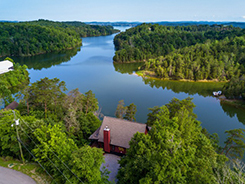 Douglas Lake is comprised of 30,400 acres and 555 miles of shoreline. 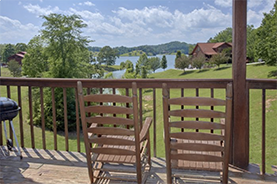 Located in the foothills of the Great Smoky Mountains, Douglas Lake is formed by the French Broad River and tributaries of the Nolichucky and Pigeon Rivers. Gently rolling hills offer beautiful vistas from every angle. Enjoy year 'round activities at the lake, including boating, picnicking, fishing, camping, swimming, and bird watching. Two million people visit Douglas Lake each year. Douglas Dam and other TVA reservoirs built during World War II made a historic contribution, providing hydropower to drive the war effort. The reservoir remains an integral unit in the overall water control system in the Tennessee Valley. 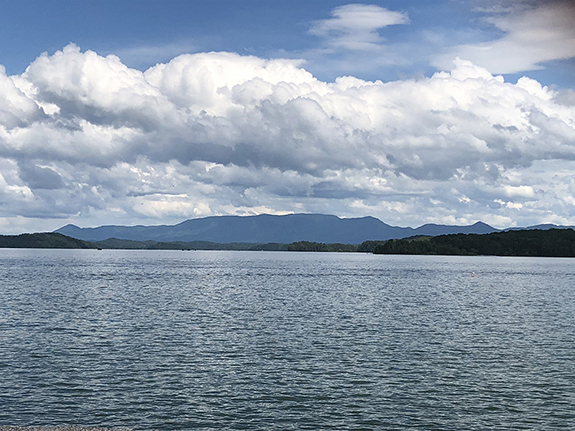 Under normal conditions, Douglas Dam stores spring rainwater for release during the dry summer and fall months to maintain adequate depth for navigation on the Tennessee River and to generate electricity. Water levels begin dropping in late summer to provide space for the next spring’s rains. Birdwatchers enjoy the fall migration of shore birds, wading birds, and other waterfowl that flock to Douglas from late July to early October. The birds rest and feed in the muddy shoreline and areas of shallow water exposed as the level of the reservoir is lowered to prevent spring flooding downstream. From Knoxville, go east on I-40 and take exit 417. Go south on Highway 92 two miles.